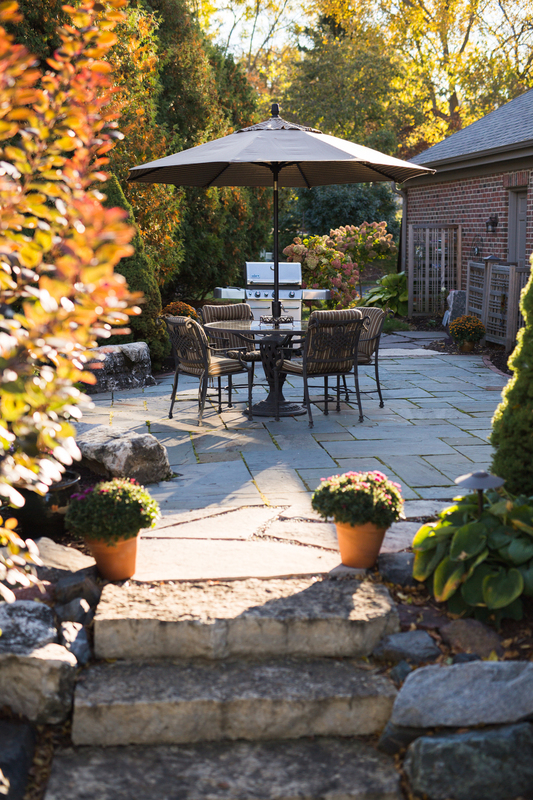 This long, narrow backyard with a challenging grade change was transformed into a two-tiered backyard retreat. 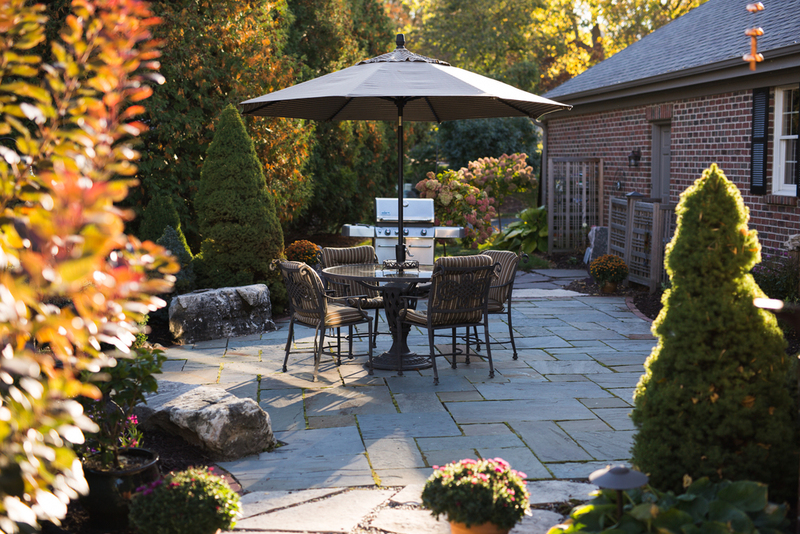 Limestone steps connect the two beautiful bluestone patios, which are accented by table and seat rocks, a variety of evergreen and perennial plantings and low voltage lighting. The lower patio can be used for backyard fireside gatherings, while the upper level is a cozy, private patio that provides a retreat in an otherwise bustling neighborhood.